The Independent - The Tiny House UK "Office". The tiny house movement: Could you live in a miniature home? Advocates argue that living small is not only more affordable but offers an ecologically-friendly alternative. Our homes are getting smaller. The average British house has shrunk by two square metres in the past decade, a report this week from estate agents Marsh & Parsons suggested that kitchen size has shrivelled by a third since the 1960s, and The Royal Institute of British Architects’ report Case for Space claims that the UK now has the smallest new build homes in Western Europe. 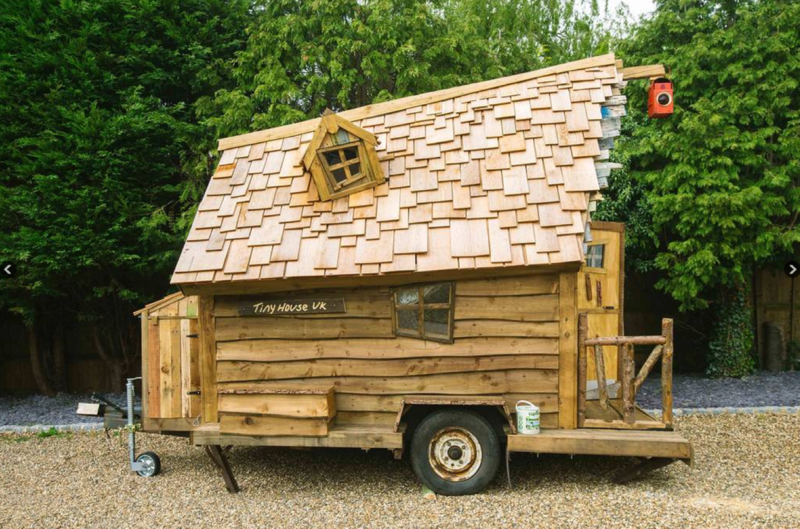 An elaborate tree house and a cabin on wheels are among the weird and wonderful structures to be named finalists of Cuprinol Shed of the Year 2015. To make the final 12, entrants had to come top in one of eight categories: pub; eco; workshop and studio; cabin and summerhouse; unique; normal; historical; and budget.